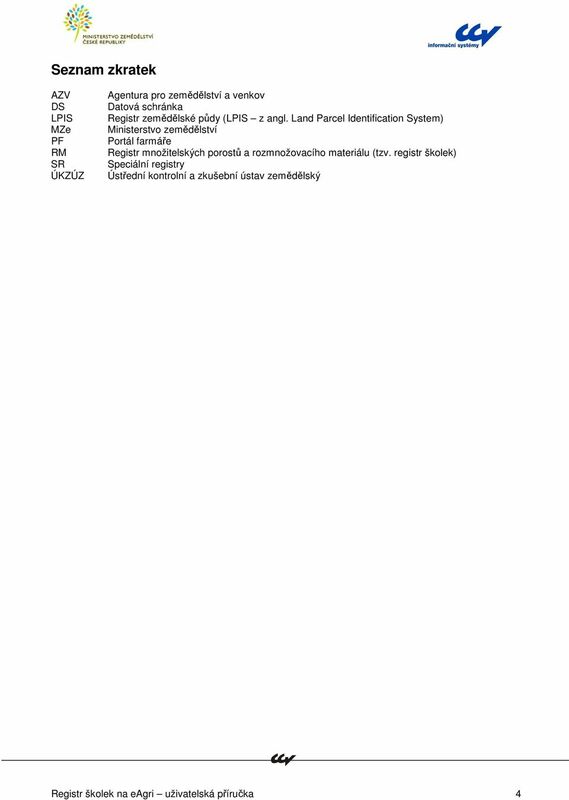 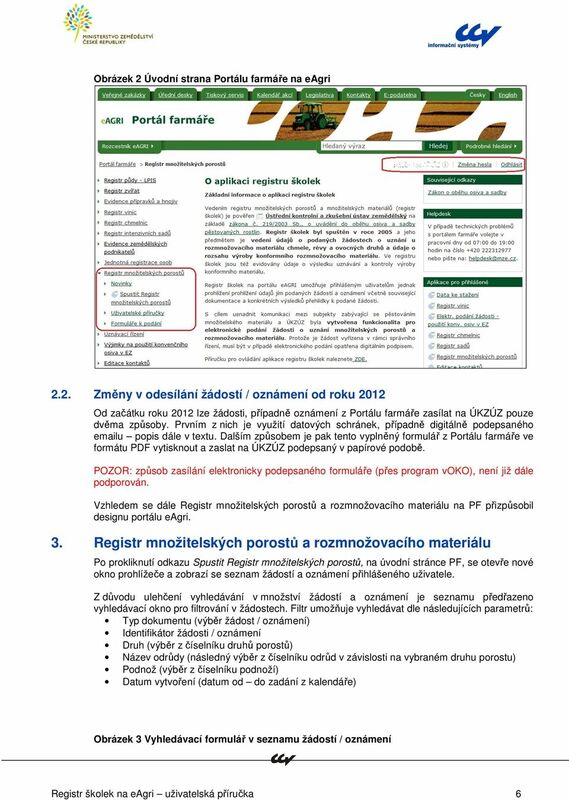 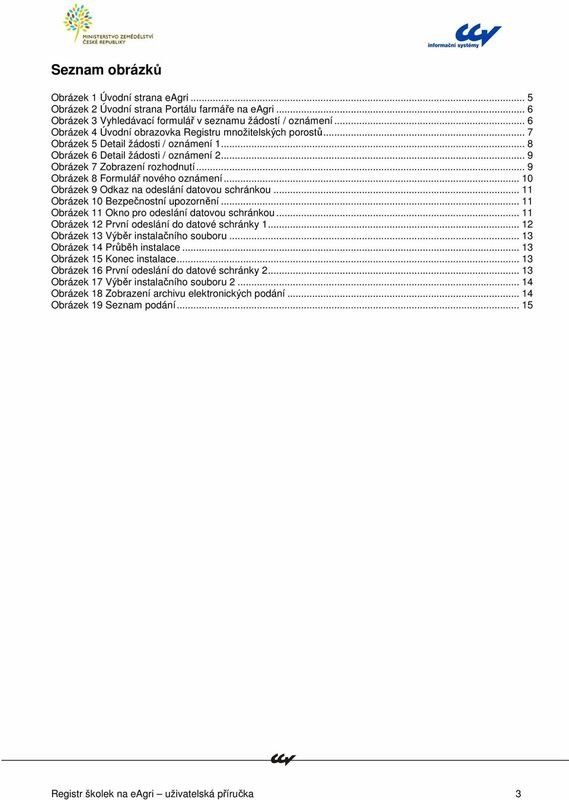 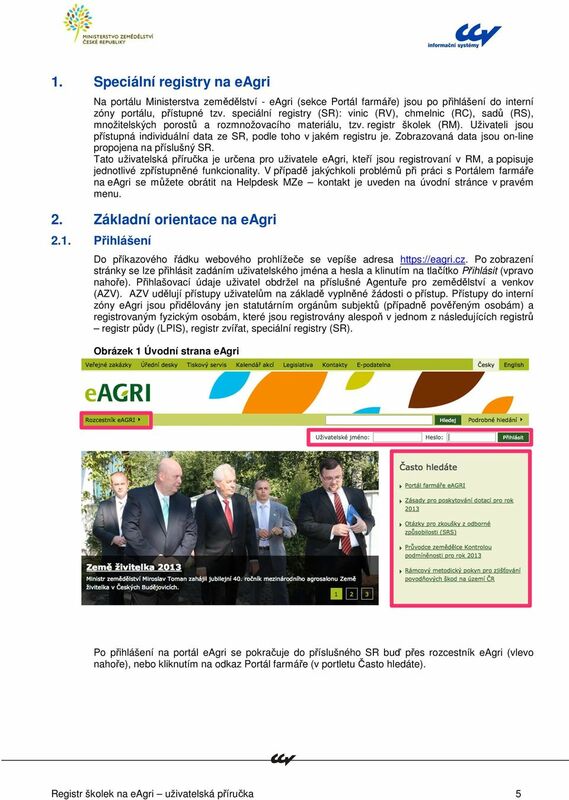 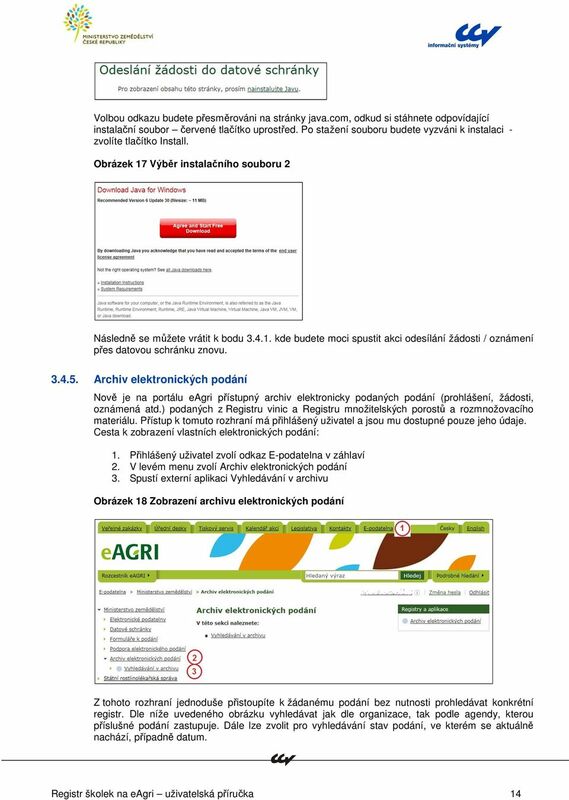 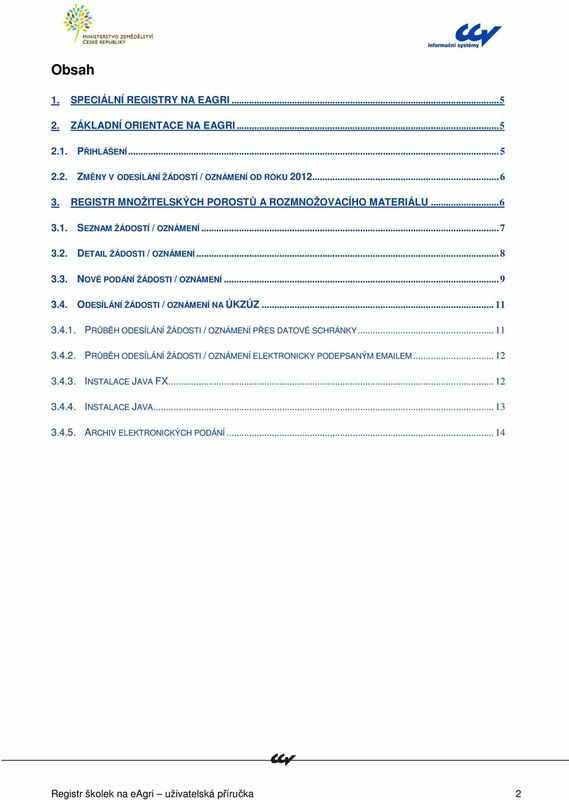 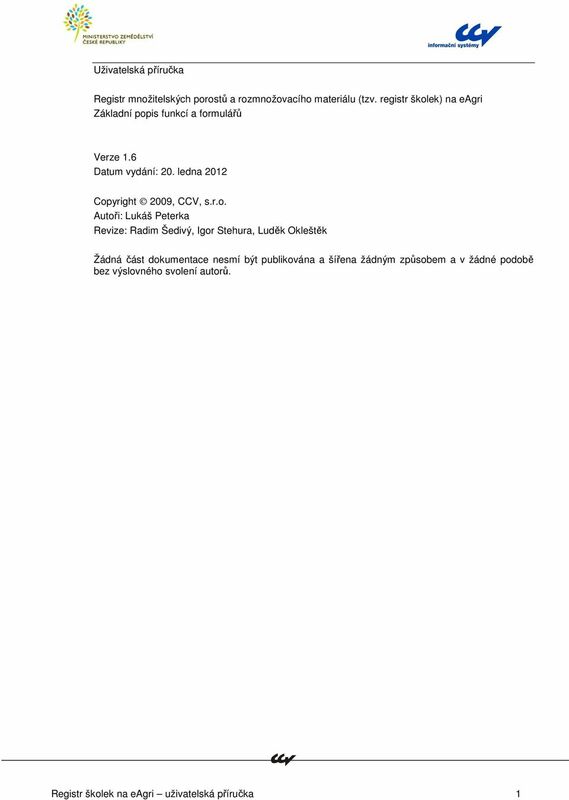 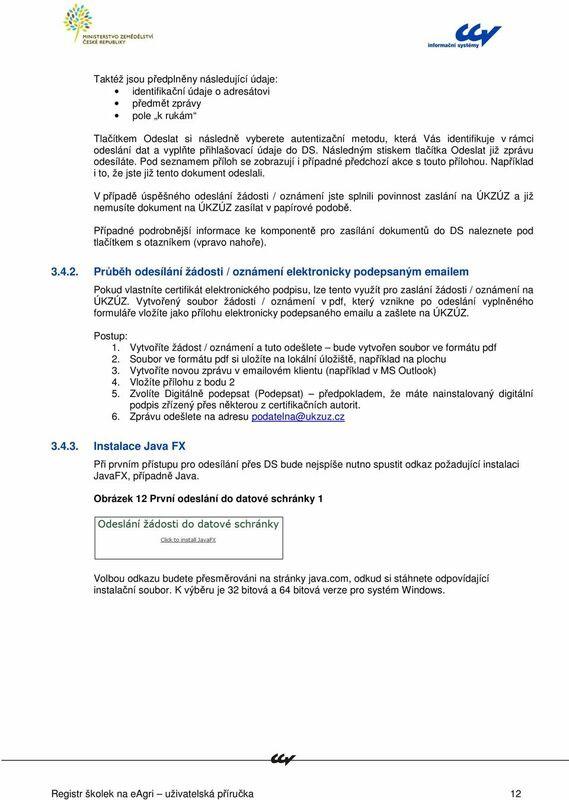 Download "UŽIVATELSKÁ PŘÍRUČKA REGISTR MNOŽITELSKÝCH POROSTŮ A ROZMNOŽOVACÍHO MATERIÁLU (TZV. 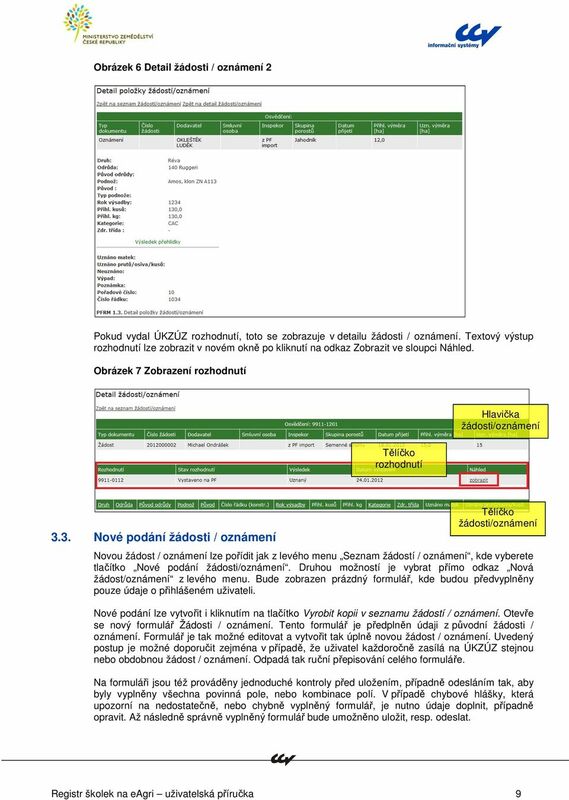 REGISTR ŠKOLEK) NA EAGRI ZÁKLADNÍ POPIS FUNKCÍ A FORMULÁŘŮ"
1 UŽIVATELSKÁ PŘÍRUČKA REGISTR MNOŽITELSKÝCH POROSTŮ A ROZMNOŽOVACÍHO MATERIÁLU (TZV. 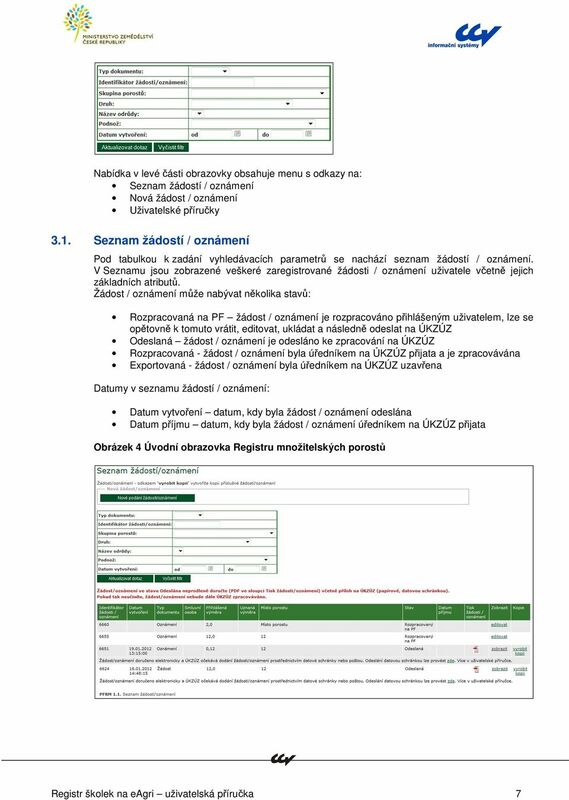 REGISTR ŠKOLEK) NA EAGRI ZÁKLADNÍ POPIS FUNKCÍ A FORMULÁŘŮ Brno CCV, s. r. o.